So I know that a lot of writers seem to have some difficulty writing realistic characters, especially 12-27 year old females. From now on, this post is going to become your Bible of everything you need to make your character real, interesting, and make sure you are not making them the fabled Mary Sue (google if you don’t know what that means). This right here is going to be a fantasmic list of resources that you will wish you knew a long time ago. Now this chart is going to be hugely helpful. Save it and zoom. 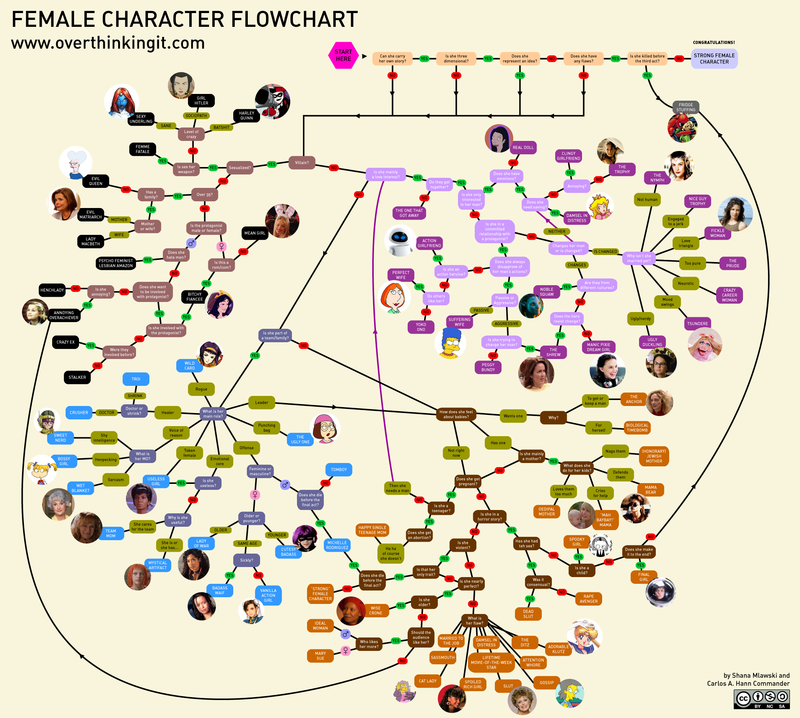 After you consult these resources, you can rest assured that your female character isn’t a stereotype or a trope. Well, at least they are less than they would have been! Happily ever after or end of world disaster?